Everybody loves a parade. And when the world-famous Tournament of Roses kicks off this New Year’s Day in Pasadena, Calif., Adaobi Gwacham will be there -- not only as a fan, but as the owner of the Chick-fil-A restaurant located along the 5.5-mile parade route. 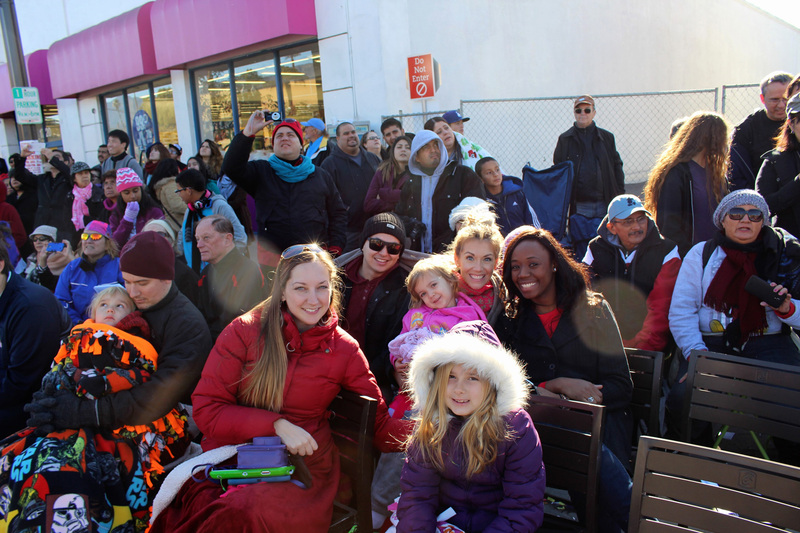 Chick-fil-A Operator Adaobi Gwacham (seated on second row, far right) and parade spectators. 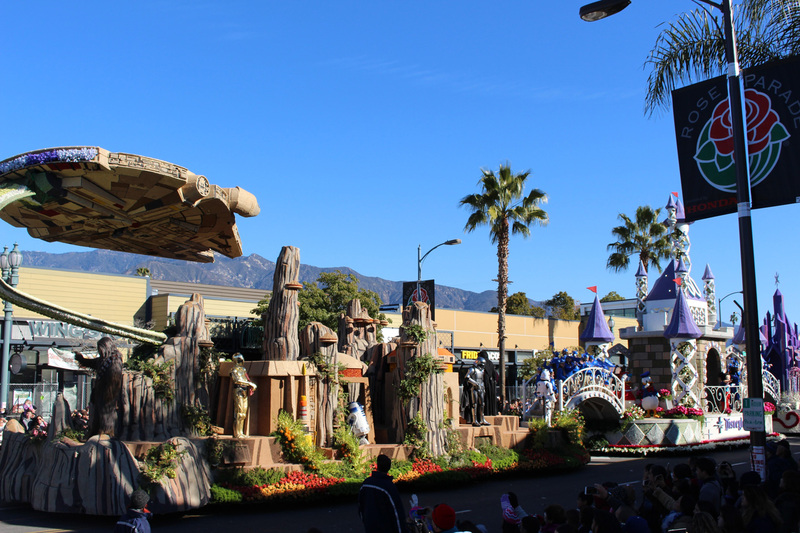 For the second year in a row, Gwacham has big plans for the first day of January, when parade-goers line up outside her door in the early-morning hours before the flower-covered floats, horses and bands come marching down Colorado Boulevard. She and her team will be up at 4 a.m. to brew coffee and prepare chicken biscuits and breakfast burritos for hungry crowds, who fuel up before heading to their viewing spots on the street or in the nearby grandstands. 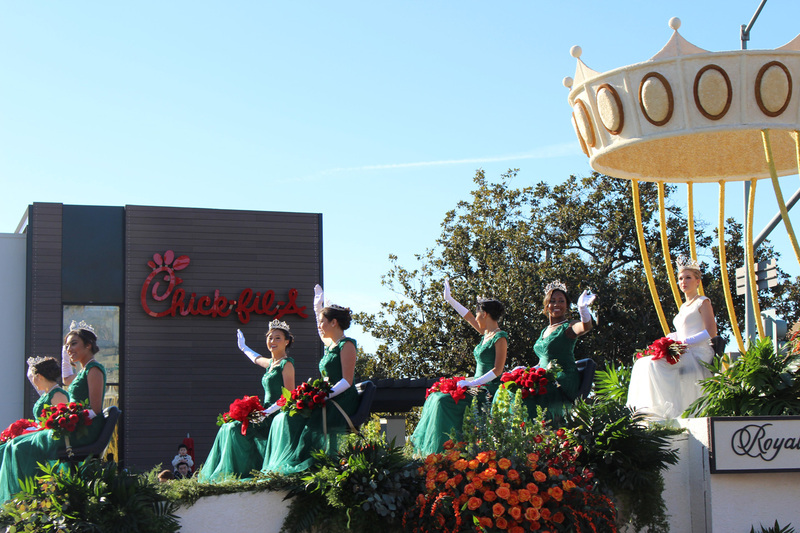 Three weeks before the parade and the day after Chick-fil-A Pasadena’s one-year anniversary, Gwacham sat down at a table in its modern dining room, decorated for the holidays with red bows and wrapped presents, to talk about parade preparations and her fond memories of her first Rose Bowl experience. “Last year was the first time I saw the parade live, and it was absolutely phenomenal,” said the Nigerian-born Gwacham, who was raised in a Los Angeles suburb about an hour southeast of Pasadena. Marching-band music serenaded her and her team while they worked, and guests who were seeing the parade for the first time filled the restaurant with excitement. 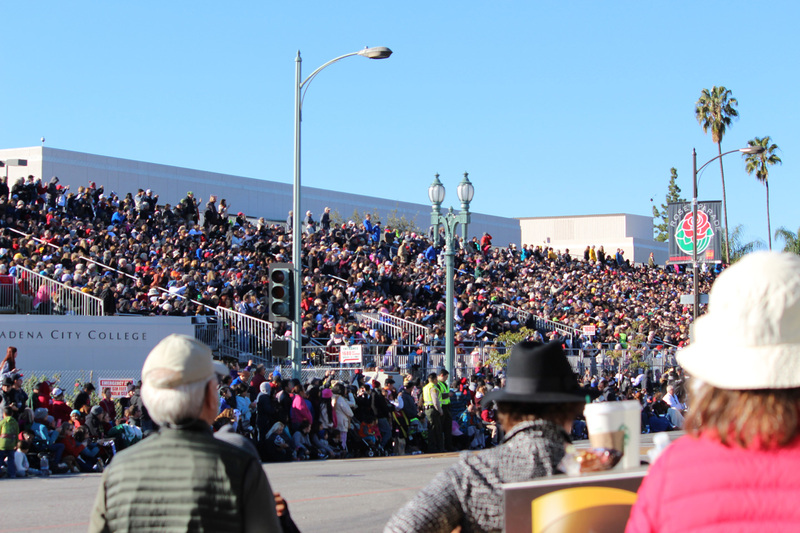 The Rose Parade now attracts close to a million people who watch from the grandstand seats or curbside along Colorado Boulevard. The historic Rose Bowl football game that follows the parade began in 1902. Last year, the University of Oregon beat Florida State in a closely watched game, and Chick-fil-A Pasadena had a hand in that, too, supplying both teams with post-game meals. That meant as soon as the parade buzz started winding down, Gwacham and her team had to get busy preparing 475 boxed chicken-sandwich meals, which a police-escorted truck delivered to the Rose Bowl stadium a few miles away. This year, Stanford and the University of Iowa will face off in football, and the 127th Rose Parade will feature 44 floats, 19 equestrian units and 20 marching bands, with a “Find Your Adventure” theme that celebrates the centennial anniversary of the U.S. National Park Service. While some local business owners sell their coveted parking spots for a high price on New Year’s Day, all of Chick-fil-A’s spaces will go to Gwacham’s team and the loyal customers whom she has come to know and love.